Smith County Commissioners Court voted to approve support of a Texas Anti-Gang Center in Tyler. A TAG brings local, state, and federal law enforcement agencies together under one roof to eradicate gang activity. SMITH COUNTY, Texas — The Smith County Commissioners Court voted to approve a resolution of support for a Texas Anti-Gang Center for Northeast Texas in Tyler. The resolution would bring federal, state, and local law enforcement agencies together under one roof to combat and eradicate gangs in the area. The Smith County Sheriff's Office has been looking into a collaboration among law enforcement for over a year. More recently, Governor Gregg Abbott announced in his 2019 State of the State that it is a priority to establish a TAG in Tyler and Waco. Texas would then have eight TAGs in the state. 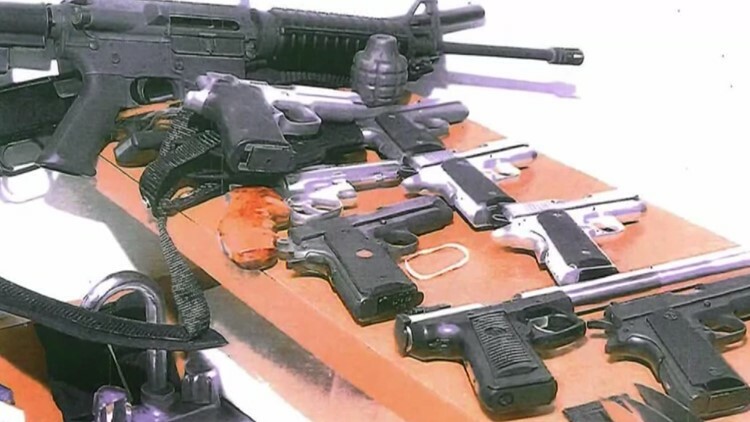 Along with the above-mentioned agencies, Sheriff Larry Smith also received commitments of assistance from the Bureau Alcohol, Tobacco and Firearms (ATF), Drug Enforcement Administration (DEA), Homeland Security, and the U.S. Attorney's Office. Smith says it is important to have all of these resources together under one roof to help with the exchange and flow of information. That would have a direct impact on gang activity. "These people associated gangs or any other criminal activity, they don't worry about a city limits the county lines or state land or even the country lives," Sheriff Smith said. "That makes it much easier and much more efficient to work together with federal, state and local counterparts." The Department of Public Safety Gang Threat Analysis shows Northeast Texas has among the highest in gang activity per capita for the last two years, according to the Sheriff Smith. The Tyler TAG Center would be in operation at the earliest by mid-summer, and at the latest by September 1. That depends on how the legislative session goes in Austin.